Learn to drive with a qualified instructor by choosing Andy’s School of Motoring. Why not get on the road today? 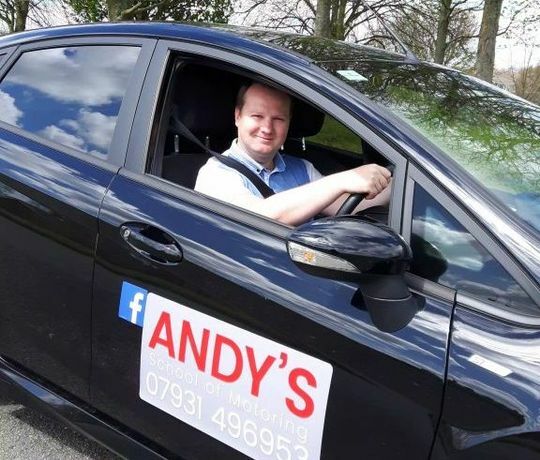 Get in touch with Andy’s driving school, in Cramlington, Northumberland, to book your lessons with a qualified driving instructor. At Andy’s School of Motoring, based in Cramlington, Northumberland, you’ll find a friendly and reliable driving instructor that works at the pace you require. As a approved DVSA instructor, you’re in safe hands at all times, and will learn to drive in a welcoming and stress-free environment. Whether you’re just starting your driving lessons or looking for a refresher, Andy’s driving school has everything you need to prepare yourself for getting on the road.